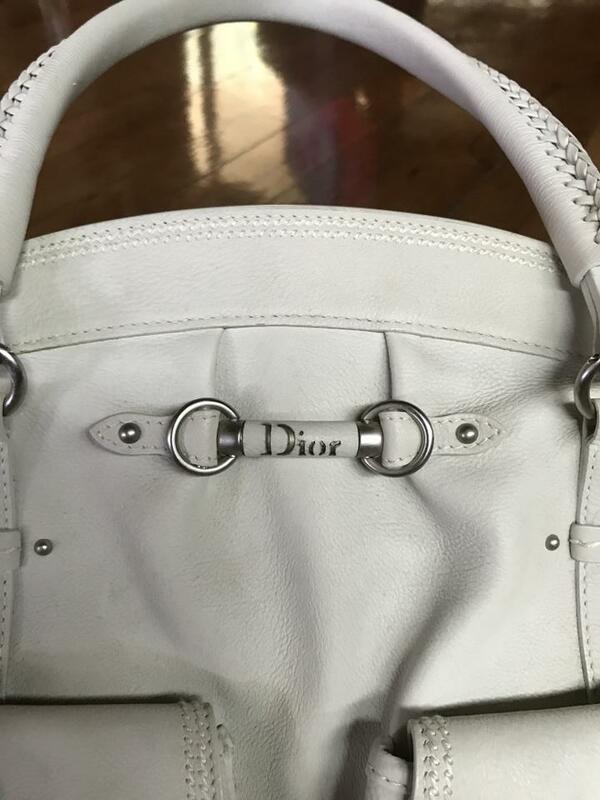 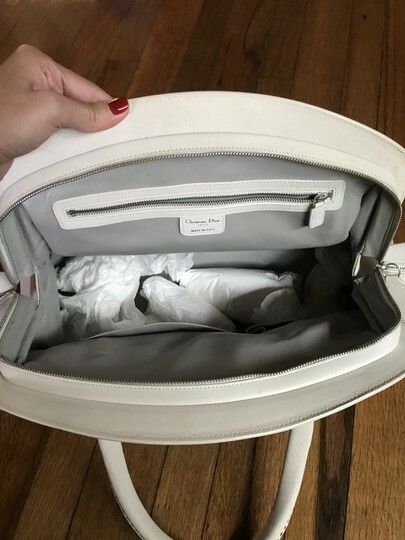 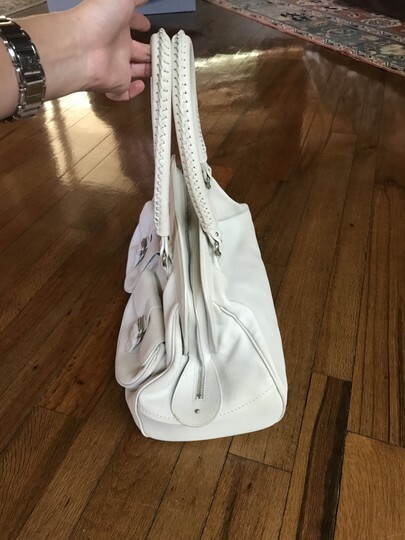 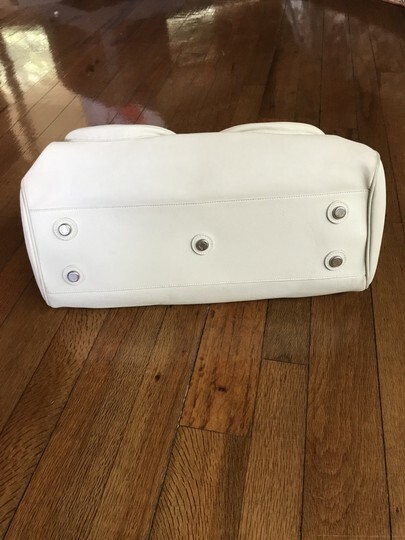 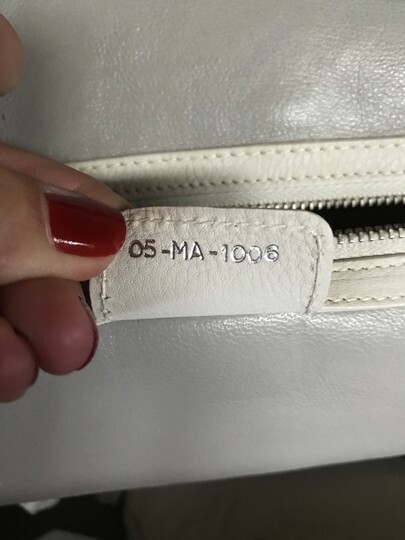 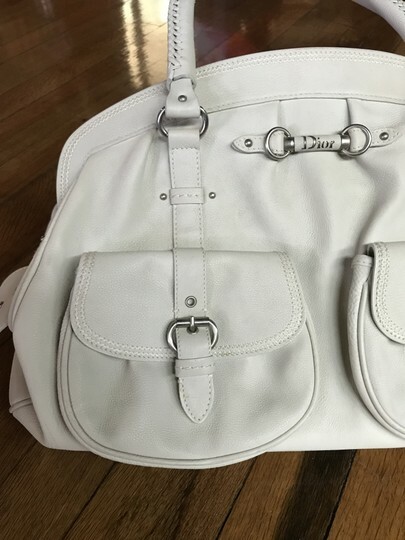 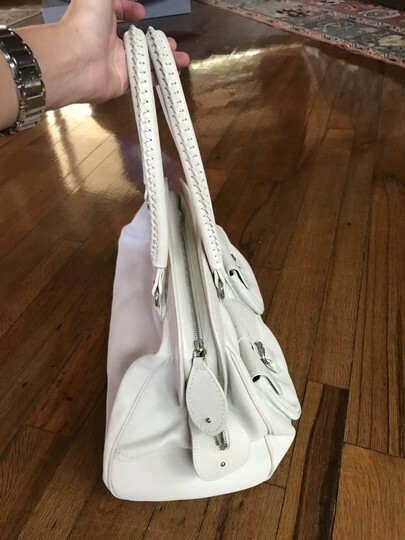 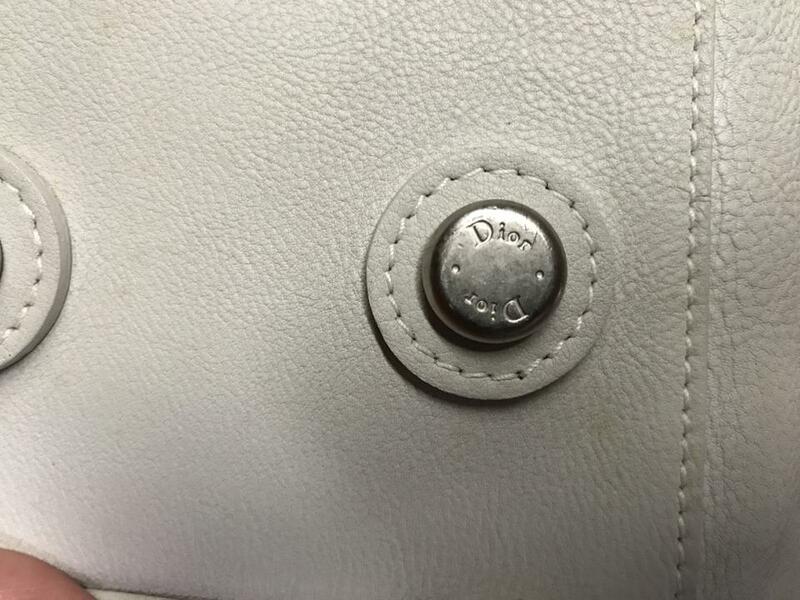 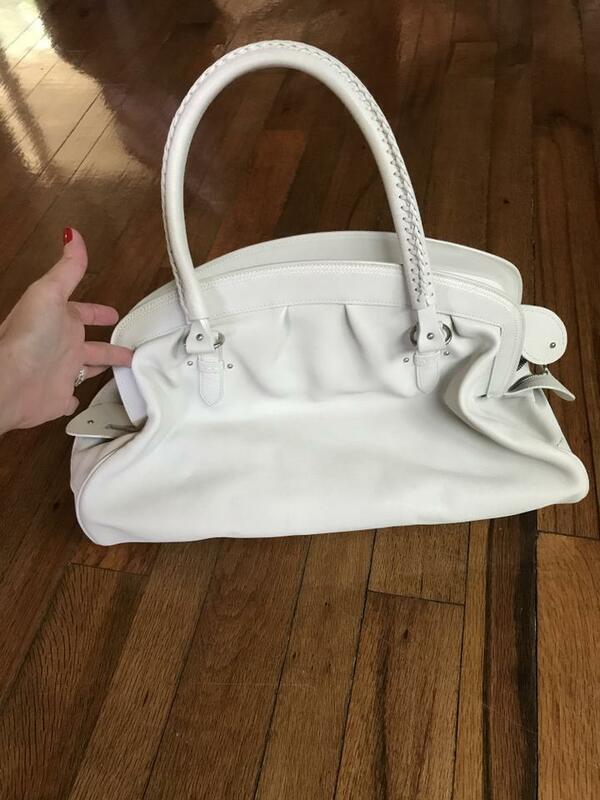 Christian Dior off white leather should bag with two pockets on the front, closes with zipper, two open pockets on the inside and another larger pocket with zipper on the inside. Two handles of 8.5". 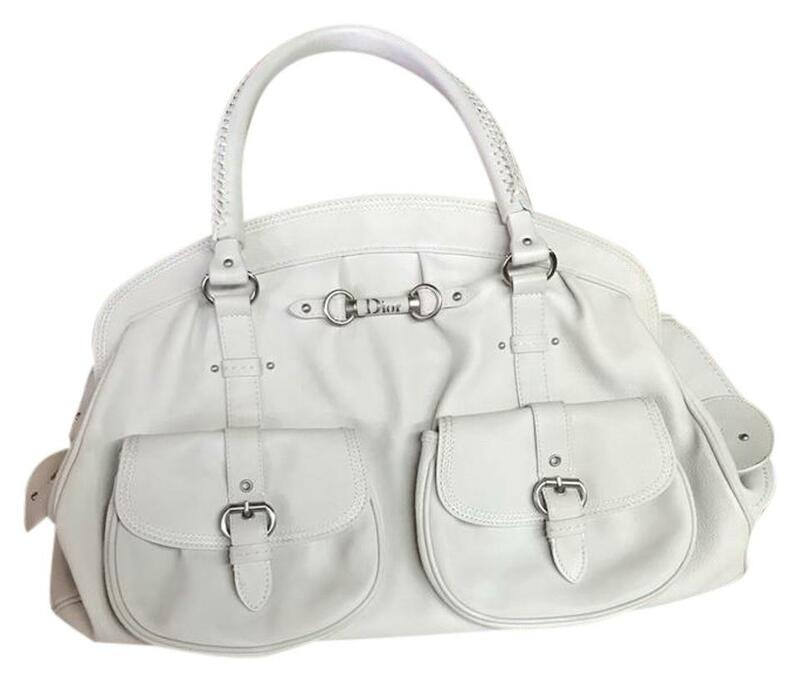 Considered lightweight and large enough to fit all of your belongings. Excellent condition! Datecode 05-MA-1006.